Grow your business using online reputation marketing with five star reviews should be the top priority for all local businesses in Charlotte NC. Equally important is to have a comprehensive online reputation management strategy. Basically you should be marketing your good online reviews. You should focus on increasing your online presence across all the review sites online. When you run a local business, you can spend years trying to grow your brand, build your customer base and to make your company a success. People spend a lot of money, effort and time doing these things, and oftentimes find that they are suddenly losing customers and making less sales. Why does this happen to so many small business owners? Lately, companies have been losing customers because their company’s online reputations have taken a hit. Negative word of mouth online can turn a thriving business into a soon-to-be-closed business in no time at all. To improve your online presence you should find the best online reputation marketing services in Charlotte. Bluemandigital.com is the best online reputation marketing company for five star reviews in Charlotte NC. Our best practices include an online reputation management strategy that turns potential bad reviews into the five star reviews you really want. We do this by engaging the customers in the event they aren’t completely satisfied. The best way to prevent such a disaster is to have your entire team focused on giving the best customer experience possible. We provide you with your own customized online media training center so every member of your team understands the importance of ensuring the best online reviews possible for your business. At Blueman Digital, our top priority is to help local business owners grow and maintain their online reviews through our proactive reputation marketing strategies. Part of your brand strategy or online reputation management should definitely be to have as many 5 star reviews as possible. We have found that many local businesses don’t realize that more than 80% of local customers check your online reviews before calling or visiting your place of business. We specialize in every aspect of successful online reputation marketing. We have helped dozens of local companies to reclaim their spots in the market and to build strong, nearly spotless online reputations. And we’d love the opportunity to do the same thing for your local business. Marketing, whether it is internet marketing or more traditional marketing, is really all about leading customers to your business. Whether you sell physical products or in demand services, you need a regular stream of both new and recurring customers to keep your company going. Consumers do not often make purchases from companies that have bad reputations. You can see the importance of building a positive reputation, both in the local community and online. At Blueman Digital, we take great pride in helping our clients to build the positive reputation that it takes in order to succeed in today’s very competitive market place. One of the better online review sites, Yelp just recently released a comprehensive study on how important online reputation marketing services and reputation management was to local business. The report showed that a single 1/2 star difference in your online reviews could cause a 19% drop in profits for a business. Nothing can ruin your business’s online reputation faster than negative customer reviews online. As you know, people can post their reviews and testimonials on hundreds of different sites these days. Whether it is an upset customer who posts a bad comment on Facebook or someone who posts a negative company review on Google Places, these bits of negative feedback can quickly tarnish your company’s reputation. The experienced team here at Bluemandigital.com can help to implement proven reputation management strategies. It is important to protect your online reputation while overcoming and avoiding any negative reviews from customers that might hinder your efforts to grow your business. By marketing your good reviews properly you can leverage the credibilty provided by your local customer reviews into a solid five star reputation for all to see. By becoming engaged with your local customers it is possible to turn bad reviews into five star reviews. When looking for the best reputation management companies in Charlotte, you will find BlueManDigital.com at the top of the list. Check out all the other reputation management companies and see who has the best online reviews. If you are ready to get started and want to ensure that people hear/read/view nothing but positive things about your business, then now is the time to contact Blueman Digital Marketing at 704-343-8700. We have built a positive reputation here in Charlotte NC among our many clients in this area by making sure that all of our clients have positive online reputations. 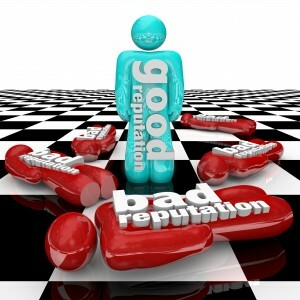 We look forward to helping you with all of your online reputation marketing and reputation management needs! You are one bad review away from hurting your local online presence, call us today 704-343-8700.